I turned my disability into my superpower! I am currently a School Psychologist with DC Charter Schools. I have the greatest job in the world, and that makes me smile. Before we get too deep, let’s start from the beginning. Growing up, one could say I was a little different. Reading and Writing wasn’t my thing. I struggled in school. When I say “struggle”, I mean my grades were so low that the teacher would just write “see me” on my assignments. I am not sure how I passed my classes. I am pretty sure they just passed me because I was nice and not a behavior problem. Fast forward to 11th grade, I had met my match. My English teacher was grading one of my assignments and said “Ummm I think you are dyslectic” to which I responded “Dis-what”. Next thing I know I am being tested for a learning disability. I found out that I was in 11th grade but reading on a 4th grade level. There I was, young and Black with a 1.86 GPA. I was filled with an array of emotions and happiness was not one of them. I was evaluated by a School Psychologist. At that moment in time I had no idea what or who a School Psychologist was. All I knew was that a man in a suit just changed my life forever. I really started to research school psychology and what it took to work in the profession. A few days of research turned into an obsession. One day I told myself “I am going to be a School Psychologist”. One problem. There I was, young and Black with a 1.86 GPA. I asked myself “what the worse that can happen?” First thing I had to do was learn how to read. I could read but it was more like me reading words on a page rather than reading for comprehension. Entering my senior year of high school I studied. I mean studied like every day was my last. I was classified with a learning disability but never truly got support from my school. I developed the ability to analyze information very quickly. That carried my GPA from a 1.86 to a smooth 2.05 by the end of senior year. There was one college that took a chance on me; Wesley College. I still believe I got accepted by mistake. While at Wesley I gained a true appreciation for School Psychology. I slowly started seeing my high school D’s and F’s turn into College A’s and B’s. One could say I got pretty good at analyzing information while strengthening my reading comprehension. I ended up graduating Wesley and getting into Grad School at Howard University. Howard was a different beast. I started to realize that though I am not the strongest reader or writer my mind has a way of bending information that makes it easier for me to understand. Three years later I graduated Howard with a 4.0! One week after graduation I went on my first job interview. As the interview ended I thought to myself, “The rest is up to God”. Before I left, they called me back in the office. Then I heard the words “we would like to offer you the job”. At that moment I smiled as I if I had never felt joy in my life. The interviewer told me, “It’s clear you do not know everything there is to know about the education system, you graduated less than a week ago, you haven’t even taken you license exam but I’ve never seen someone talk about a job with so much passion”. I left the office smiling and three years later I’m still smiling. I’m getting paid to literally do the one thing that gave my life understanding. Every day I wake up and give children purpose and meaning. What makes me Smile? Never giving up on your dreams! If you have a goal make sure you do not stop until it is obtained. 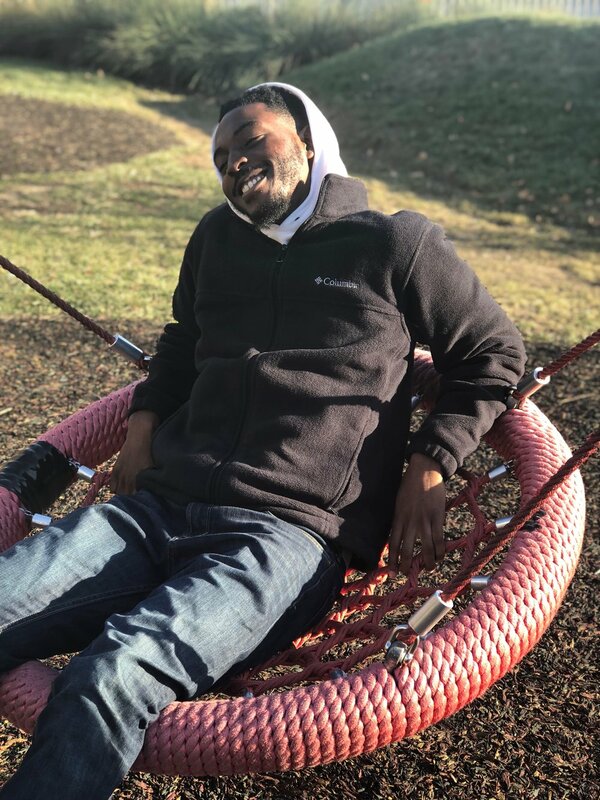 Carllistus Obeng is the second feature of our weekly series Black Men Smile® Monday, weekly in-depth profile of amazing Black men...and stories about what makes them smile! Follow link for instructions for how you can be featured.